butters or exceptional Harry & David™ wine. One of the most flavorful cuts of meat is also the most tender of all steaks. 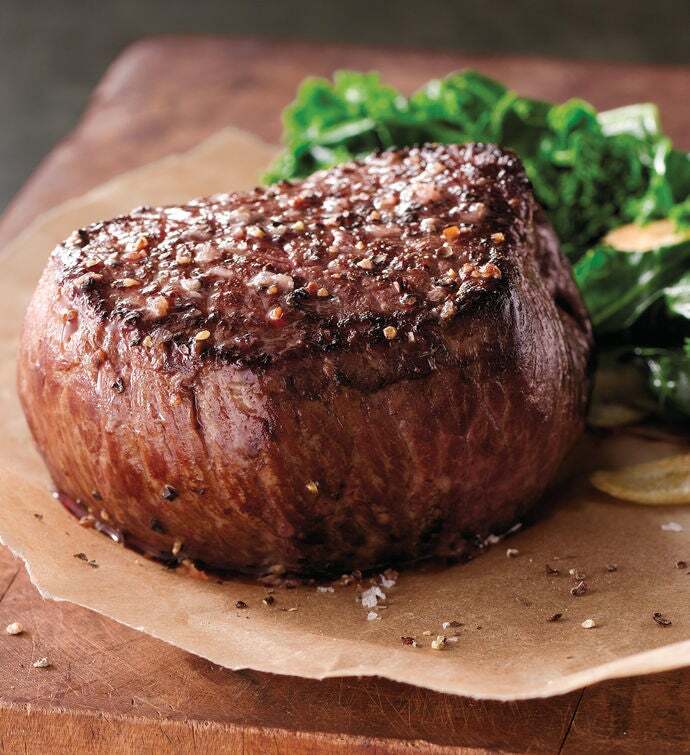 Cut from the center of the finest sirloin, this steak lover's favorite has a juicy texture and is full of hearty flavor. While still sizzling, top your filets with our sea salt and cracked black pepper finishing butter for the crowning touch. Available in your choice of USDA Prime and USDA Choice. USDA certification is a mark of beef quality that’s based on the degree of fat marbling within the meat. Exceptional marbling translates to a more tender, flavorful cut of meat. USDA Prime represents the highest tier of all domestic beef, followed by USDA Choice.